Nowhere Is Safe From The Munchkins! 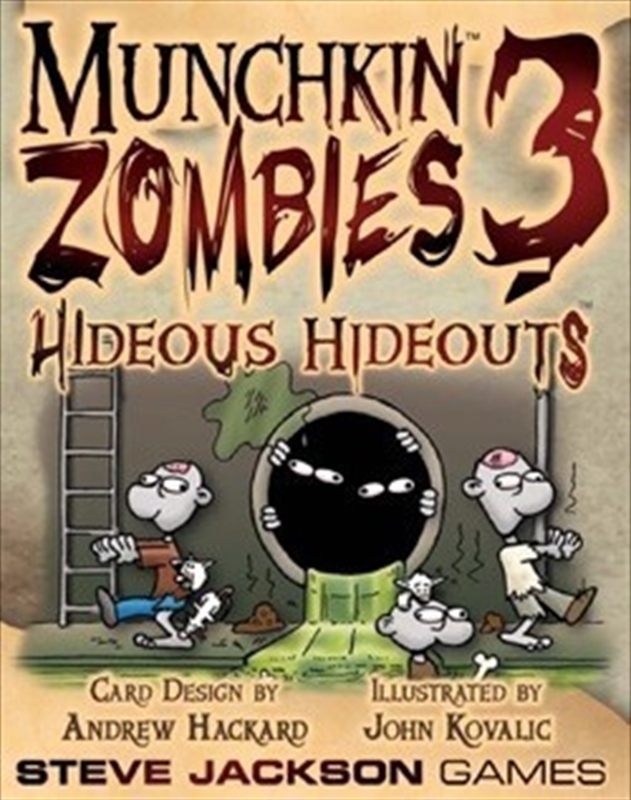 The smash Munchkin hit of 2011 was Munchkin Zombies -- the fans liked it so much that it’s gone back for two printings in less than a year! Now, this new set introduces the popular double-sized “Dungeon” cards to the Zombies genre. In Hideous Hideouts, the “Dungeons” become places where the zombies can find more yummy braaaaaains! Fort Deadly, the Creepy Isolated Cabin of the Dead, Resurrecticon . . . you get the idea. And cards like Breach the Perimeter and Walking in Circles will keep the band of hungry undead on the move as they hunt for tasty, tasty survivors.